A classic silver cable chain necklace with wide open links for easy jump ring attachments. The 16 inch length usually lands just below the collar bone. 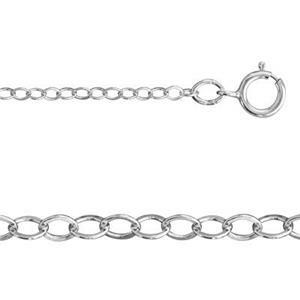 This chain is a great value for a high quality sterling silver jewelry chain.